Is your door no longer weatherproof? Is it difficult to operate? 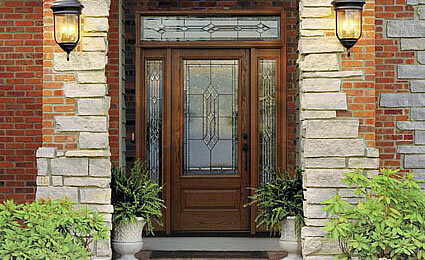 Or are you ready to change your plain, old door for something new and beautiful? If so, the door experts at Hathcock Home Services can help! We are dealers for a number of manufacturers to bring you a wide variety of exterior doors that can be custom built to fit your taste and budget. Hathcock Home Services will perform an in-home assessment and measurement to make your new door fits your home perfectly. Once your replacement door is hung and installed we will clean the work area and remove your old door, leaving your home just like we found it. Hathcock Home Services sells and installs replacement doors in Dothan, Ozark, Enterprise, and the surrounding southeast Alabama region. We also serve customers in parts of southwest Georgia and the northern Florida. Contact us for a free, in-home assessment.